Persephonice is given the mission of distracting the shadow elves who are bound to learn what is blocking their water source before they discover a space ship is sitting in the middle of their river. That's how all the trouble begins. Persephonice is an overseer - an observer and recorder of information about inhabitants of civilized worlds. Only she's lost her life mate and cannot be an overseer without one. She's given a second chance if she can prove she's worthy if she can survive an inhospitable planet inhabited by elves and other mythical creatures she's only read about, very little of which is known of them except that they constantly battle amongst themselves and are not civilized enough to safely observe. The shadow elf, Dracolin, a warrior given the task of learning what is blocking their water source, doesn't expect to find the most unusual creature he's ever encountered - a red-haired, green-eyed land-bound mermaid. That's only the beginning. She understands and can speak his language, falls off cliffs without injuring herself, and swims like a mermaid - without the fishtail. Everyone is intrigued with her - except some fear her uniqueness and want to destroy her. That is the problem with observing uncivilized worlds. The cover is stunning, but it doesn’t really scream from space. It seems magical, but nothing grabs my attention. This is another audiobook that I listened to with my son in the car. It was very unexpected. I did not read the blurb before listening to this book. I was expecting something like the World of Fae but with Elves. I was so wrong, but it really worked. It took a while for me to really connect with the characters, but I think it is because it was a new world with unexpected twists. I was initially a little lost, but it did become more clear as you went what was going on. I think this is like Star Trek meets a Fae realm. It is a really cool idea. I’m wondering if there will be more of either the Elven World or of the Overseers. I will admit though as of right now I’d still want to slap the Overseers, but you will have to read or listen to see why. Maria is a new narrator for me, and she did take some time getting used to her style. Once you get used to it, she is a very good narrator. I’m definitely going to listen to more of her stuff especially if it is written by Terry Spear. 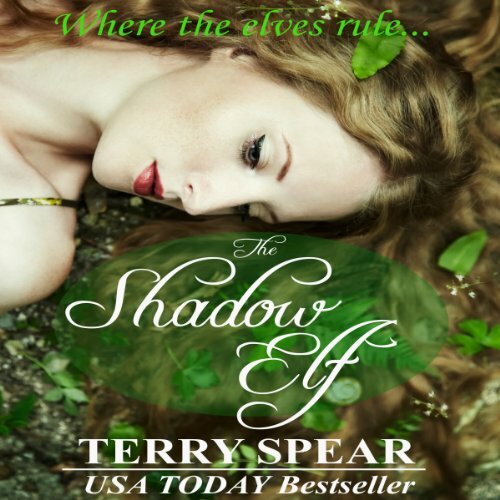 Where does The Shadow Elf rank among all the audiobooks you’ve listened to so far? This is my 1st AudioBook and I believe it was of mid to high quality and it was what I expected. Did Maria Hunter Welles do a good job differentiating all the characters? How? Her choices of the voices for men weren't appealing at all. Her main character was done well. There are some laugh out loud moments for the character behavior. Quite a different story line to include "aliens" and elf.